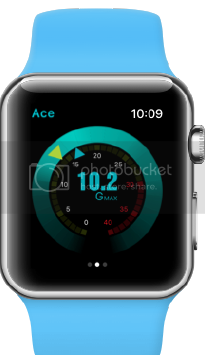 Ace Tennis for Apple Watch is a simple, yet powerful app that can help improve the power and timing of your tennis serve. Ace shows you the force you exert during your swing - so you can fine-tune it to make the biggest impact when it counts. Aim to reach the max acceleration (G) at the highest point (apex) of your serve. Monitor your heart rate, calories burned and total serves during your practice session. Ace Tennis sessions count towards your progress in the iOS Activity app. Ace Tennis is exclusively for Apple Watch and iPhones. © 2017 All rights Reserved - Tap Get Pte Ltd.